BJP leader Jai Ram Thakur will complete six months as the Chief Minister of the hilly state of Himachal Pradesh on June 27. When he was elected as leader of the BJP legislative party in December 2017, after the shocking defeat of party’s chief ministerial candidate Prem Kumar Dhumal in the Assembly elections, many questions were raised about Jai Ram’s capabilities as CM. However, he is trying hard to firm his grip on the Bureaucracy and his party BJP. On the other, hand after a humiliating defeat in the Assembly elections opposition Congress party seems to be caught in the infighting in these six months as former chief minister Virbhadra Singh and Pradesh Congress Committee chief Sukhwinder Singh Sukhu are all out to insult each other in the public. Even after six months as chief minister, Jai Ram Thakur is facing challenges on many fronts. On the government front, his biggest challenge is to overcome the worst financial condition of the hilly state which is facing a whopping 48,000 crores debt. After the BJP government came to power in December 2017, it has raised over 4,950 crore loans till June 10. ‘’I admit we are facing a grim financial situation. We have reduced expenditures, however still we are facing a lot of problems on this front,’’ CM told the Tehelka. Sources said that state government even facing paying salaries and pensions. The situation is that state is not in a position to manage finances without raising loans. Chief Minister Jai Ram had admitted during the Assembly session in April that state has total debt of 46,502.42 crores which now have crossed 48,000 crores. The state has a great scope in the field of tourism, but nothing concrete has been done to enhance infrastructure to attract more tourists in the state. ‘’Tourism is the only sector after power where Himachal have great possibilities. 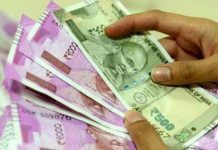 If sincere efforts are made with the help of central government, Himachal can use this sector to improve its financial situation,’’ said BD Sharma, a former director in the state government. Another problem which Jai Ram is facing is the rising water crises in the capital city of Himachal Pradesh and some other districts in the state. Shimla faced worst kind of water scarcity this summer. People were forced to demonstrate on the streets. This is interesting to note that water level in many areas have gone down and more than half hand pumps in the state have gone dry now. There are fewer rains in the state and glaciers are melting due to rise in the temperature. Experts feel that state needs a solid water management policy, otherwise, coming years will be more troublesome for the people of the state. 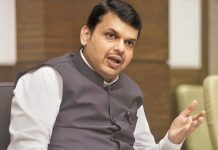 After a shake-up in the bureaucracy, the new chief minister, Jai Ram, tried to firm his grip on officers, who otherwise in the state are ‘’divided’’ on the political lines. Like many other states bureaucracy used to play a big role in the success of governments, especially, in the implementation of ambitious projects of ruling parties or chief ministers. Former Chief Ministers Virbhadra Singh and Prem Kumar Dhumal were considered as strong leaders who had a grip on the bureaucracy. Jai Ram, who is known as ‘’soft leader’’ in the political circles, wants to come out of this image. 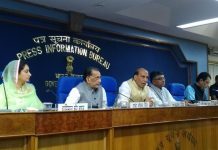 A senior member in the Jai Ram cabinet, on the condition of anonymity told this correspondent that ‘’afsarshahi belagam ghode kee tarah hoti hai aur usse aap bina sakht huye kaam nahin karva sakte (the bureaucracy is like an uncontrolled horse and you cannot be a successful government if you fail to control the officers). 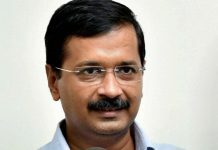 He, however, denied to comment on a question that chief minister was “soft’’ towards the bureaucracy but added that officers are part of the government. On the political front, Jai Ram is facing multiple pressures. State BJP has two former chief ministers Prem Kumar Dhumal and Shanta Kumar. Besides them, a strong Union Minister Jagat Prakash Nadda too have clout in the state power corridors. He was a cabinet minister in the previous (2007-2012) Dhumal government and now considered to be a close confidant of Prime Minister Modi and BJP chief Amit Shah. Jai Ram has to keep balance not only between Dhumal and Shanta Kumar, but Nadda also. Jai Ram never had a strong group in the state BJP and even after becoming the chief minister he had mainly focused on government only. Former CM Prem Dhumal despite facing defeat in the assembly elections still havea stronghold in the state. Even state BJP chief Satpal Satti is considered to be close to him. 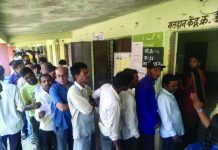 There are words doing the rounds that BJP high command will change at least three candidates out of total four Lok Sabha seats in the state in the coming Parliament elections including Shanta Kumar who is 85 years now. It is said that party may field Prem Dhumal from Hamirpur from where his son Anurag Thakur is MP at present. Chief Minister Jai Ram Thakur wants a candidate of his choice from Mandi, which is his home constituency. When asked to comment on six months performance of the Jai Ram government, CPM legislator Rakesh Singha gave it only 2 marks out of ten. 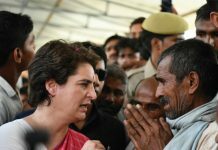 ‘’BJP government have not fulfilled even a single promise it made to the people during elections, he said and added that right from farmers to the common man are extremely unhappy with the government. The Congress Legislative Party (CLP) leader in the Assembly Mukesh Agnihotri described the Jai Ram government as ‘’proxy government’’ of the RSS. ‘’This government is working under the influence of RSS. It has failed on all fronts and law and order situation is out of control, he added. However, state BJP chief Satpal Satti described the Jai Ram government as successful. ‘’In the small period of six months, it has worked for the welfare of all sections of the society and fast working to fulfil the promises, added the state BJP chief. Previous articleAre rights of minorities in India in jeopardy?